Follow the road less travelled through. This tour is about connecting with the people of Kerala and their lives in a way that will inspire, inform and entertain .On this tour, you will spend less time on the road, discover beautiful rural towns and bring you close to locals that too without sacrificing too many creature comforts. You will be welcomed at Kochi International airport / rail station by our company representative who will direct you to your resort. 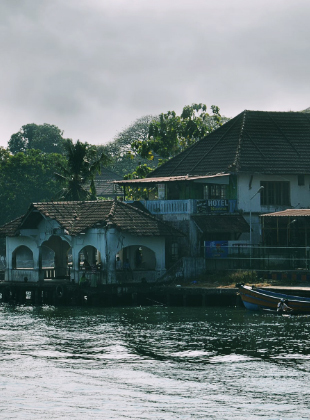 Kochi is one of the finest natural harbours and the oldest European settlement in India. The cultural mosaic here is shaped by a long history of visitors – Arab, Chinese, British, Jewish, Portuguese and French – making for a remarkable heritage city. This 17th century art form is a highly stylized classical dance-drama with the confluence of dancing, acting, vocal and instrumental music. Watch the extensive make-up process and then enjoy a story telling in Kerala style in the performance. Enjoy dinner at one of the amazing seafood restaurants in the city. Relax for the night in your hotel. A mix of people from all over the world have left their stamp on this fascinating town of Fort Kochi. You can shop around for antiques and spices, learn the history of the land and visit the palaces, churches and Chinese fishing nets of Fort Kochi. Check-in to your eco-friendly hill resort cottage and relax for some time. The evening would be a perfect time to head toward the famed rolling meadows or ‘mottakunnu’ as it is locally called. Enjoy the stunning views of the mountains and tea gardens while you soak-in the chill of the hills. Overnight stay at Vagamon. This morning set out to explore the attractions of Vagamon. There is something for everyone- the spiritual, romantic, rustic to adventure sports. Find the origin of rivers, walk through tea plantations & pine forests, paraglide between hills or trek up to religious points. Vagamon will truely be off-beat. Chase the origins of the Meenachil river, made famous by booker prize winning ‘God of Small things’. It originates near Vagamon and flows downhill to Kumarakom into the backwaters. If you come in March, you can be part of the annual paragliding festival in Vagamon and fly like a bird between hills. Trekking through the beautiful Pine forests or walking through tea estates to undiscovered waterfalls are all part of the charm of Vagamon. If for nothing, marvel at the breath-taking surroundings and discover the orchids found here. Today will be a treat to all senses with your trip to Gavi, a highly acclaimed eco-tourism hotspot. The exclusivity of this destination is maintained with only 100 visitors allowed entry every day. Enjoy a 40 km long scenic drive through the jungle on a jeep to reach Gavi. Enjoy a 3 hour trek with trained tribal guides, through grasslands, hills and thick forest and also relax by canoeing/ peddle boating in the placid waters of Gavilake. You can even view the famed Sabarimala hill shrine from view-points over here. Head back to your resort for dinner. Enjoy your breakfast at your resort and head to Konni, an elephant Kraal with a history of 100 years. At Konni you get to see how baby elephant are caught from the wild and groomed in wood cages by experienced mahouts. This day gives you some of the closest encounters with an elephant that you could imagine. This is one of the most thrilling experiences on offer. You will get access to the elephant camp where you will get to feed an elephant. Travellers can even try their hands in giving these gentle giants a thorough scrub and wash at the bathing Ghat in the Achenkovil River. Top this up with an elephant safari through thick forests and photographing these priceless moments for eternity. Optional: Head to the resplendent Palaruvi waterfalls for an evening splash. Relax for the night at your resort in Konni. Today venture out to Kumarakom, an idyllic village set in a maze of complex lush waterways marked by its gentle pace of life. This day of the tour has been set aside for you to relax or experience the best of the famed ayurveda massages (if interested). Check into your backwater resort, which has recreated the backwater village ambience. Spend the rest of the day enjoying the scenic environs by the lake side. You may choose to lounge by the pool or pamper yourself with an ayurveda treatment. The evenings are best spent playing games or by the lake side soaking in the backwater sunset. Would you like to experience the simple life as lived out every day by Georgekutty, Mercy, Mohan and many others? Get a peek into the lives of locals as you navigate the small canals in a country boat. You will come across women converting coconut coir to rope, children rowing away to school, locals ferrying goods to markets, men fishing for lunch, toddy being tapped from coconut trees and many such sights. Head back to your backwater resort and enjoy your dinner.